Emil Boc, mayor of Cluj-Napoca, has appealed a ruling by a county court that would pave the way for bilingual, Romanian-Hungarian, street signs. The court’s ruling would make it possible to include Kolozsvár, the Hungarian version of Cluj, on signs, even though the city’s Hungarian population no longer exceeds the 20% threshold normally required to implement bilingual signage in Romania’s municipalities. Mr. Boc referred to this law when indicating that his administration would appeal the court’s ruling. Izabella Szőcs, a local legal specialist in Hungarian minority rights issues, noted that while Romanian laws makes bilingual signs mandatory where the local minority population reaches or exceeds 20%, it does not prohibit such a change from taking place in communities where the proportion is lower than this threshold. In these instances, however, the introduction of bilingual signage hinges on the good will of the municipal administration. Anna Horváth, Cluj’s deputy mayor and a member of the Democratic Alliance of Hungarians in Romania (RMDSZ) noted that Mr. Boc’s opposition to bilingual signs may be a political move, in advance of municipal elections. “As a city competing to for the title of ‘cultural capital,’ Mr. Boc neglected to use this as an opportunity to form public opinion and instead acted in a way that is meant to give the public what he believes it wants to hear”, commented Ms. Horváth. Ms. Horváth added that a number of other towns in Translyvania where the Hungarian population is below 20% still have bilingual signs. These include Brasov (Brassó) and Timișoara (Temesvár). Mr. Boc, a former Prime Minister of Romania and a member of the Democratic Liberal Party, had been much more inclusive in his politics than his predecessor, the openly xenophobic Gheorghe Funar, whose reign in Cluj included painting park benches and garbage cans in Romania’s national colours and vilifying the Hungarian minority. In 1996, Funar famously launched a “funeral procession” in downtown Cluj, when Romania signed an agreement with Hungary. He went as far as to place a doll with a knife stabbing it in a coffin, which was paraded through the city. Mr. Boc’s refusal to allow for bilingual signs may prove to be a setback in Romanian-Hungarian relations in Transylvania’s largest urban centre. 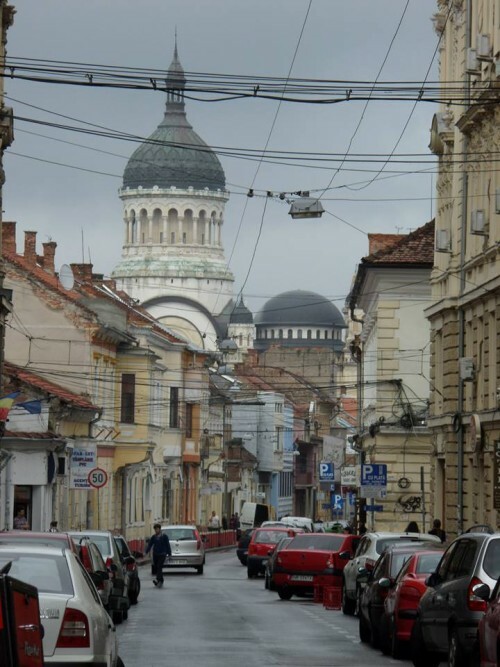 According to the 2011 census, Cluj-Napoca’s population stands at 324,576. 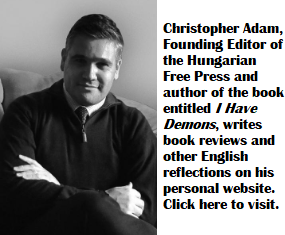 The proportion of Hungarians is just slightly below 17%, or approximately 50,000 residents.